I’m always on the look out for new authors for H to read, new series to capture his imagination and new book fodder to sustain his bookworm appetite. It can be tricky at times. He likes plenty of action, so fast paced books are always popular and adventure or mystery stories are often ones that appeal. Initially this one didn’t appeal as from the front cover, H thought this was a girl’s book. This is a problem we have quite a lot, H does seem to be reluctant to read a story if the main character is a girl. 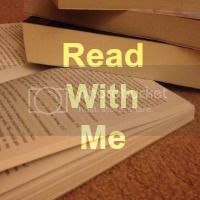 However, when I sat down to read it myself, I realised that the narrator was a boy and used that to persuade him to think again. Like the original Sherlock Holmes’ books, the stories are told by John Watson. 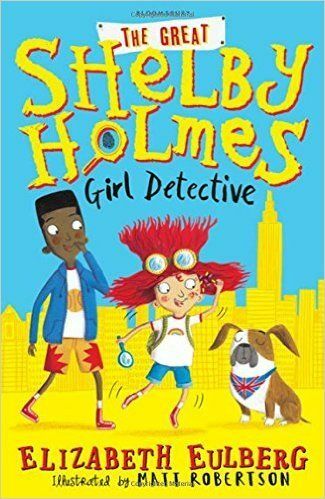 In The Great Shelby Holmes by Elizabeth Eulberg, we have been transported to New York, Holmes is a girl, but Watson is male and so is Shelby’s dog (named for Sir Arthur Conan Doyle). It’s soon very clear that Shelby Holmes, is unlike anyone John has ever met before. She has a fantastic talent for observation and surprises John with how much she is able to deduce about him and his mum without even talking to them. Despite John’s initial reservations about Shelby, he ends up tagging along with her as he doesn’t know anyone else and ends up accompanying her on her daily dog walk. It’s not long before he gets swept up in her detective work as she tries to solve the mystery of their classmate’s missing dog. It’s a fun read, but it does cover some more difficult social issues like making friends; moving to a new place; and parents splitting up. Over all though it’s fun and there are loads of references to the original Sherlock Holmes series. This book is aimed at the 9-11 age group and seems well suited for that. I liked that there are some challenging words in there to increase vocabulary, but it’s also a fast-paced fun book to encourage readers to keep engaged. I like it when books tackle social issues in an age appropriate way as it helps the child learn perspective and use their own judgement from the context of the story. My son loves to read too but we’ve never tried this book – there are so many to choose from at the library! Books that cover important issues but in a child friendly way is great. We have just finished reading a book covering how old people can be lonely and it was such a beautiful book. Great tip, we are about to move and my eldest loves detective books -thanks! This sounds like a really good read. I’m always on the lookout for books for my daughter too. My boys have sadly given up reading 🙁 We always have issues with ‘boys’ books’ and ‘girls’ books’ too. I think girls are more inclined to read a book with a lead male character (Harry Potter, Tom Gates), but boys won’t read books with a lead female character. Sarah MumofThree World recently posted..New Parkrun PB – at last! Interesting your son didn’t want to read it because he thought it was a girl’s book. Big mistake by the publisher putting ‘Girl Detective’ on the front! That sounds great, might be a bit old for my kids but I’d enjoy reading it to them! That sounds like really good fun! Thanks for the review.